I had high hopes for book 2, and wasn’t disappointed! In this book, Acatl is almost immediately put under immense pressure – not only has he earned the attention of some of the most powerful people in the Mexica Empire, but he is still dealing with the fallout of the previous book’s events. Now he has to deal with a rising body count and incredibly powerful creatures that make the things he faced in book 1 pale in comparison. Book 2 did much to flesh out Acatl as a character and person, even more so than the first book, because much of what Acatl had to do in this book had even more of a personal cost; without a doubt he was pushed further and harder than before, and by the end of the book I had the distinct feeling that even though Acatl had persevered the costs were heavier than before. Action- and magic-wise, this book really kept me on the edge of my seat – as I said before, the creatures that Acatl and his allies (and even enemies) face in this book are damned powerful, but it doesn’t end there – deities enter the fray, and Aliette did a great job in layering them with incredible menace and danger; definitely not deities who sit back and move pieces on a board. 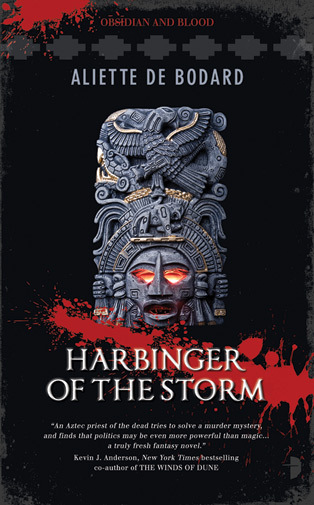 To order copies of Harbinger of the Storm, click here for Amazon US, here for Amazon UK, and here if you’re in South Africa; you can also head over to the Robot Trading Company to purchase all the Angry Robot eBooks you need, including Servant of the Underworld and Harbinger of the Storm. 🙂 Also, check out Aliette’s website here. 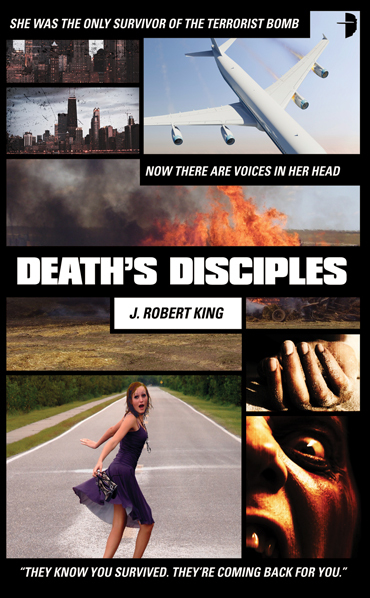 I’ve been a great fan of Rob’s work since I read the incredible Angel of Death and stunning Suicidals Anonymous, and I was seriously looking forward to Death’s Diciples. 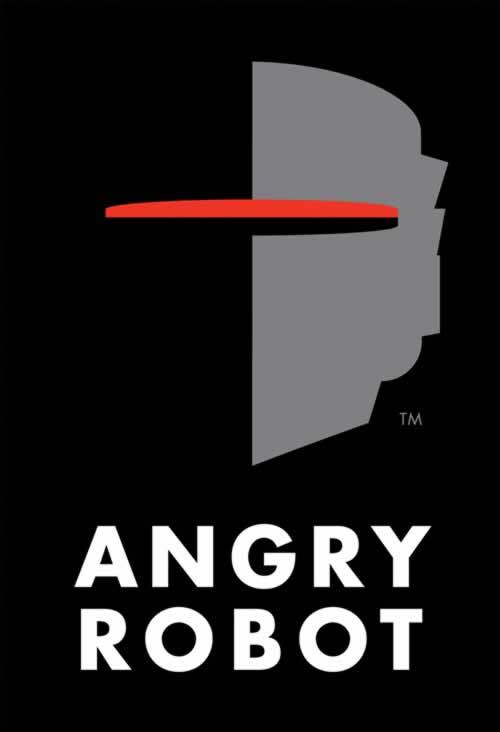 His second Angry Robot novel turned out to be completely different to Angel of Death and Suicidals Anonymous, but as damned good. The novel follows Susan Gardner, the only survivor of a terrorist bomb on an airliner, and how Susan discovers just how she’s tied into the terrorist-plot – or is it a terrorist plot? The second thing was Susan herself – Rob did an incredible job of revealing her personality chapter by chapter, managing to play to my expectations of her and what I thought she would do (she is the central protagonist, after all), and surprising me constantly. For most of the novel we are in her head, immersed in her thoughts and reactions, and the ride is sometimes chilling, sometimes funny, always surprising and, at times, heart breaking. She’s a great character! There are more characters, of course – Susan’s brother, confronted with the sibling he thought he knew as he tries to help her take her place in her life again; Krupinski, an FBI agent investigating the attack (and Susan’s miraculous survival), and Mr Nero, one of the coolest and most twisted antagonists I’ve yet encountered in Fiction. The plot of this novel, the twists and turns it takes, is nothing I could have ever predicted – Rob manages to make you believe that this is a book about terrorism and the stress and trauma of surviving a terrible event, until the weirdness hits, and hits, and hits, in waves of relentless tension and kickass, surprising events. Where Angel of Death was measured, menacing, beautiful and tragic, and where Suicidals Anonymous was superbly satirical and darkly humorous, Death’s Disciples is a thrill-a-second ride, supremely plotted, exciting, hard-hitting, and definitely falls into the Twisted Blockbuster category – one hell of an awesome ride! 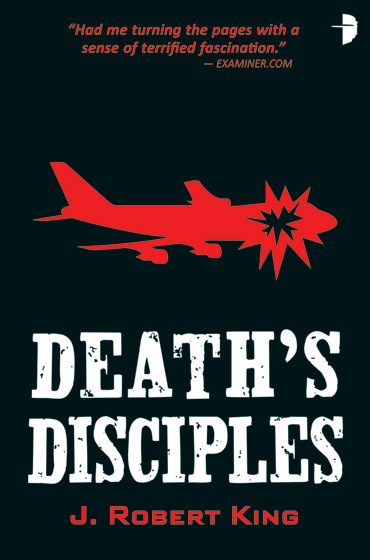 To order your copies of Death’s Disciples, click here for Amazon US, here for Amazon UK, and here if you’re in South Africa; remember, you can also get this novel and all of the published Angry Robot titles in various eBook formats over at the Robot Trading Company. 🙂 Check out Rob’s site here. The agent was John Jarrold, and the deal was for World English Language rights. 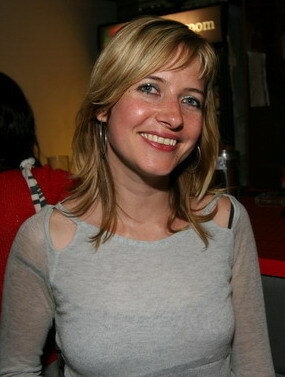 The first book is due for publication in September 2011. World rights in Hannu’s debut novel, THE QUANTUM THIEF, plus two further books were acquired pre-emptively by Simon Spanton of Gollancz (who publish in September 2010) from agent John Jarrold for a high five-figure sum in pounds sterling, on the basis of one chapter, in 2008. 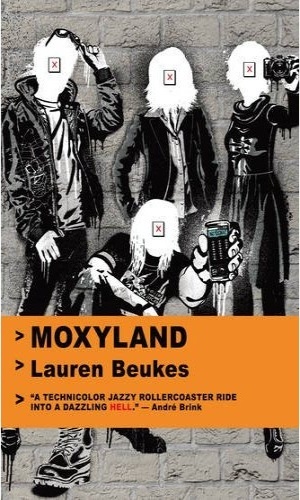 Tor will publish in hardback in May 2011. Great news on both counts! 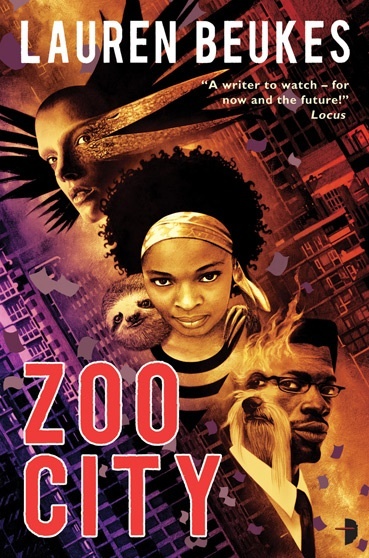 We are delighted to announce our latest signing, bringing a stunning series of books set in the harassed police department of a city full of vampires and werewolves. The first title in this sensational series, Hard Spell, will be published by Angry Robot in spring 2011, in both the UK and USA. 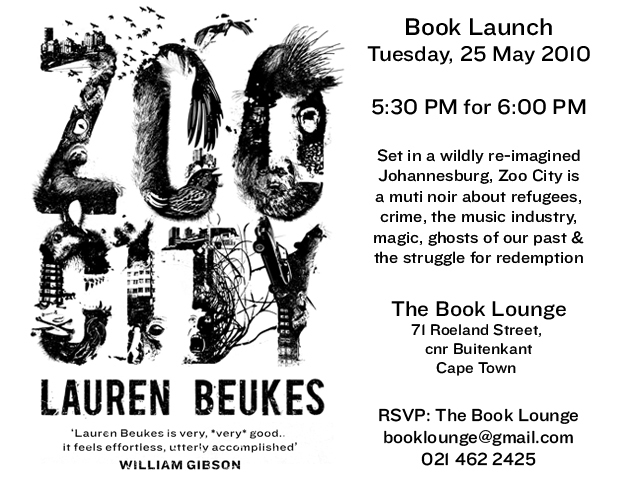 You can find The Book Lounge at the following address: 71 Roeland Street, cnr Buitenkant, in Cape Town, and the launch is scheduled to kick off at from 6PM (but be there early!). To RSVP your place, you can email The Book Lounge at booklounge (at) gmail (dot) com, or phone them on (021) 462 2425. Lounge with customised toys, black zoo biscuits and a lot of marabou storks. Here’s the blurb, just in case you can’t make it. kind of job missing persons. 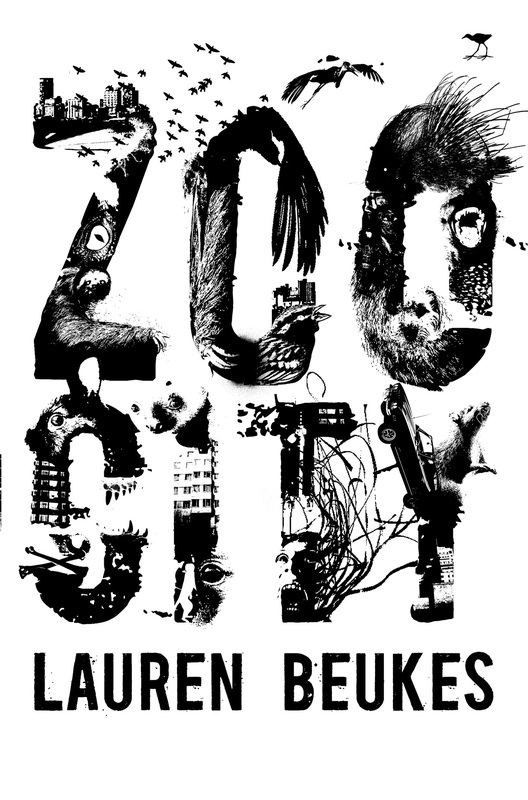 For those of you who can’t make it to the launch, order your copies of Zoo City here, and for those in the UK starving for another Lauren-fix, pre-order your copies here (the book will be available in September in the UK).